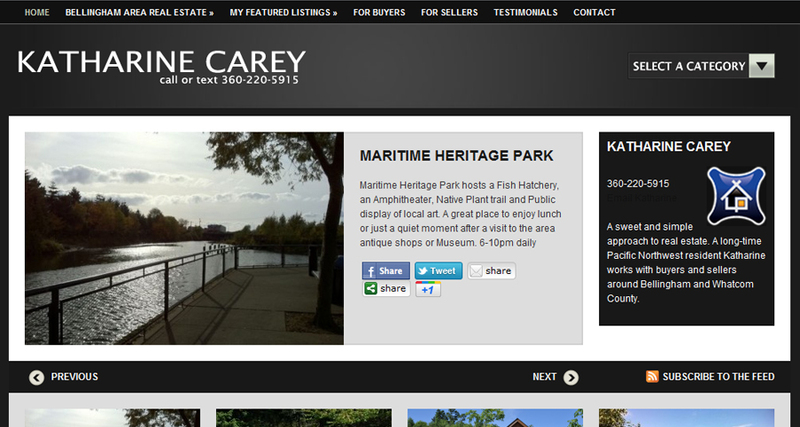 Katharine is a savvy REALTOR® in Bellingham, Washington who needed a new website that fit her style. She likes to focus on neighborhood content, homes, and photos of the area. Katharine uses WordPress mobile to post great photos directly from her smartphone. Diverse Solution’s dsIDXpress provides the search solution for her visitors and great looking Google friendly property pages pulled directly from the MLS. An online hub for Katherine’s brand. Organic search traffic, pages indexed in Google, and repeat visitors are all up. We continue to work with Katharine on marketing a new home development Malloy Village which she is representing.